None of us can deny that our culture operates on the “bigger is better” mentality, the allure of fast-moving entertainment, and the immediacy of electronic communication. But you might be surprised to learn that according to the Direct Marketing Association (DMA), mail is a forerunner in the competition to win over potential customers. Mail boasts an average response rate of 4.4% in comparison to display ads at 0.04% and paid searches at 0.22%. The only channel that trumps direct mail is telemarketing, with a success rate of 12.95%. What do mail and telemarketing have in common? An approach grounded in personalization. If you can captivate the right person at the right time with the right content, you can convince that potential buyer to investigate your product further. A mailer or flyer that comes into a consumer’s home is difficult to ignore, just as a live conversation with a telemarketer forges immediate connection, welcomed or not. Even you have to agree that an envelope and letter sporting your name, in type or printing by hand, piques your attention...regardless of your awareness of the industry and its beguiling moves! Customers feel chosen and valued with this approach. Whether consciously or unconsciously, they take note that someone has taken the time not only to pursue them and their patronage, but also to understand their interests and needs. Maybe because paper mail is more of an enigma these days, we are actually more inclined to browse through it. The DMA 2010 Statistical Fact Book claims that 79% of US households still scan advertisements they receive in the mail. Mail is a touchable, textured object that people can experience with their senses. The physicality of mail means that consumers trust it more readily than they would a digital message, and the long-standing tradition of the postal service gives the method credibility. All it takes for a seller to influence a consumer is a postcard with an enticing headline or an opening image that speaks directly to that consumer’s sensibilities. Plus, the chances of starting a dialogue with a prospective client are much higher with a memorable piece of direct mail, particularly if a seller uses the charm of “lumpy mail”—sending a small gift or sample along with a letter or brochure — to intrigue him. Direct Marketing is currently the exception rather than the norm in the marketing world, due in large part to the magic of direct mail. Digital or social media marketing strategies are compelling in their own right, though they tend to come and go. But you’d rather sustain attention by sending out tangible item that prospects are likely to keep in the house for days. There are 6000 tweets sent out every second, evidence that a constant barrage of new content is always threatening to bury yours. On the contrary, the average prospect receives fewer than one piece of direct mail a day. Even in the act of going through a pile of letters, ads, and magazines that has been sitting on a counter for too long, a consumer is going to give a second or third glance to a mailer. 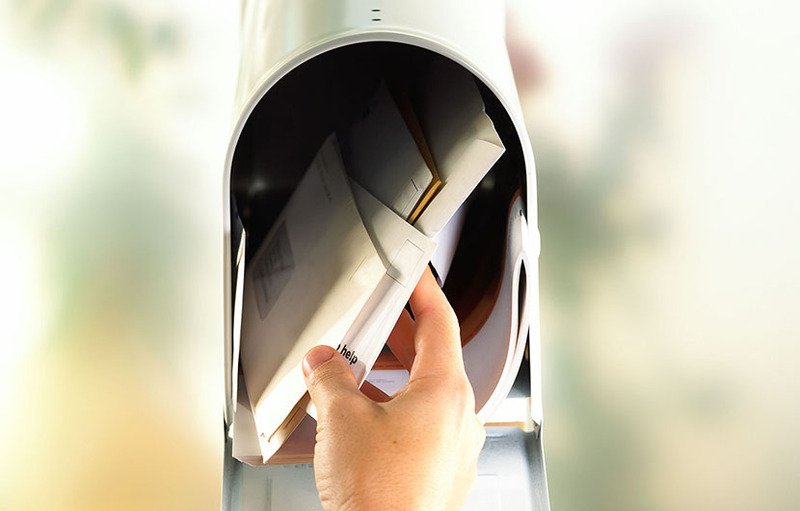 Ultimately, you can count on the direct mail method to generate business, secure long-term relationships, and increase revenue. As with every marketing campaign, you need to do your research; every prospect group has its own pain points. But luckily, through personalization, you can tailor your products or services to solving the problems of a specific type of buyer. This process includes evaluating your target market’s purchase history and preferences and developing a strong value proposition. Because the content they are consuming is customized to their perspectives, people tend to view products pitched through Direct Marketing as “ideal” for their situations. Make your buyer an offer he can’t refuse!